Plaintiff alleges that the flowers grown under defendant partner’s care were total losses in terms of a shelf-worthy flower, and that this was the result of breach of contract on his part. The company owns and operates a production facility on more than 80 acres in Central Oregon, as well as a retail store in a downtown area. The company seeks to grow with retail locations in three other cities, including Portland, where it has applied for a license. To craft a marijuana business contract that is going to hold up in court, you need to be working with an experienced marijuana business lawyer. If you aren’t careful, your cannabis contract won’t be worth the paper on which it is written – so long as federal marijuana prohibition remains the law of the land. Acknowledge the federal legal status of the drug. Although pointing out the illegality of the substance might seem odd, when you expressly acknowledge that your business includes the process of growing, processing, testing or selling marijuana in contrast to federal law, it gives you a point at which to refute any illegality offense the other side might make. Waiver of illegality defense. This goes along the same lines as the other in making it clear no one anticipates being able to make such an argument in the future should a dispute arise. Selection of forum. This is important because unlike other businesses and markets, the cannabis is industry is one that is very closed-borders. It must operate strictly intrastate in order to avoid federal scrutiny (to whatever extent that is possible). While the people and businesses with whom you’re dealing hands-on are likely to be located in your home state, our L.A. marijuana lawyers are quick to point out to our clients that a lot of the ancillary businesses with whom you are working may not. These include a number of suppliers of materials used in grow, production and retail. Stipulating the legal forum in which disputes must be resolved can help you avoid getting something dragged into federal court later (where the issue of illegality becomes a bigger one). Of course, none of this should be construed as legal advice by any marijuana business, but we offer these general tidbits here to help explain why working with an experienced marijuana lawyer for business contracts is so critically important. 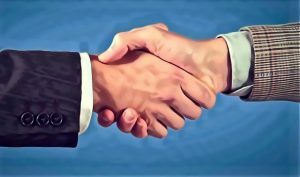 These contracts are what you are going to be able to use with your employees and business-to-business contacts should a dispute arise.